Congratulations on successfully purchasing a foreclosed-upon property in Miami-Dade County...now you need your Miami-Dade Certificate Of Occupancy. With COU Of Miami, we make getting your Miami-Dade Certificate Of Occupancy simple, thanks to our proprietary web-based software functionality that lets you upload your Certificate Of Use and Occupancy request directly, then track its progress the whole way. We make getting your Miami-Dade Certificate Of Occupancy fast, thanks to our experienced and highly qualfied staff of engineers, draftsmen, architects, inspectors and land-law professionals. Together we've coordinated actions and produced results to satisfy more than 4,000 Miami-Dade Certificate Of Occupancy requests since we opened for business in 2009. We make getting your Miami-Dade Certificate Of Occupancy affordable, due to the volume of requests we process, and we make it accessible, as we include you throughout the many steps to ensure that your goals are achieved. Most of all, we make getting your Miami-Dade Certificate Of Occupancy - and most importantly, getting legal occupancy and use of your newly acquired property (residential, commercial, industrial or other) - right. Once you call COU Of Miami at 305-807-8771, we are generally able to turn around your Miami-Dade Certificate Of Occupancy application within five business days, depending upon the speed of the review board. But we take care of the inspections, courthouse reporting and final delivery of your Miami-Dade Certificate Of Occupancy and Use and the accompanying Disclosure Of Findings report as expeditiously as possible. 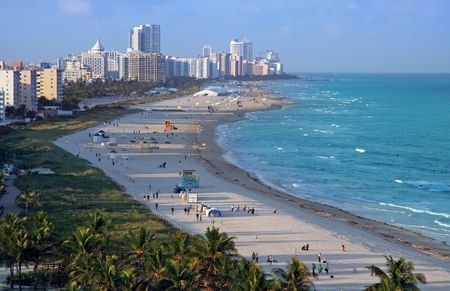 Whether your property is in the City of Miami, North Miami, South Miami, West Miami, Miami Gardens, North Miami Beach, Doral, Opa-locka, Hialeah Gardens, Homestead, Medley or any unincorporated area of the County of Miami-Dade, COU Of Miami is the proven choice for your foreclosed-upon parcel's Certificate Of Occupancy.